We brought you some cool plans Aircel has on offer for Mumbai users in our exclusive review of PostPaid Plans (Mumbai), and here is a follow up to that one with the add-on packs, which one can opt for along with the postpaid plans. The operator has managed to create a need for these packs by keeping SMS rates at Re.1 for all its plans. 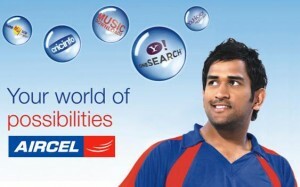 Talk STD All :: STD calls to Aircel numbers @ 50 paise for Rs.35/month and all @ Re.1 to other networks. We Say:: All the plans are definitely worth the spend and are cater to specific user needs, be it STD/ Local calling or SMS. If we were to pick one of them, the Local Calling @ 30paise for Rs.75 a month would be our pick. SMS pack 75 for rs 50 too ? i dont understand…then y will sum1 opt for sms pack 50 ? Hmmm….Aircel has some really competitive plans in the postpaid segment…Should make other operators reconsider their postpaid offerings! !